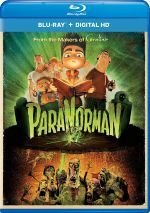 An animated flick with a supernatural bent, 2012’s ParaNorman introduces us to Norman Babcock (voiced by Kodi Smit-McPhee), a young resident of Blithe Falls. Norman can speak to the dead, a trait that causes him to become an outcast, as no one other than his pal Neil (Tucker Albrizzi) believes him. Norman’s abilities come to the fore when he learns of an ancient curse that affects his town. Norman needs to channel his skills to keep Blithe Falls safe from the ghosts and zombies. ParaNorman didn’t light up the box office back in 2012, and I wonder if its themes and tone damaged its commercial prospects. Not that kids won’t go to supernatural tales, but the film gave off such a dark vibe that I suspect family audiences largely avoided it. The end result justifies the possible belief that ParaNorman will present a semi-gloomy affair. 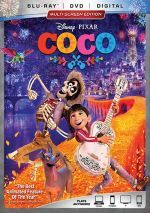 While it still packs a decent amount of kid-friendly action and comedy, it definitely brings a more somber tone than most animated efforts. Speaking as an adult, I appreciate that orientation and think it gives the film an unusual sensibility. Many movies use a sense of “otherness” as a theme, but ParaNorman walks the walk via its more visceral, graphic embrace of this notion. Despite the presence of zombies, ParaNorman really plays more like a riff on Sixth Sense but with more action. Though it clearly shares the main gimmick of Sixth Sense, it doesn’t feel like a rip-off, as it manages to creates its own identity. The movie’s climax proves especially strong, both in terms of action and emotion. The film builds to an exciting end, but it also brings out a rich, moving finale. I won’t throw out a spoiler, but the reveal of the witch at the end becomes surprisingly impactful. The film uses this revelation in an impressive way that gives the movie extra depth. I must admit ParaNorman can plod a little during its first two acts, but it never becomes a bad movie, and that third act really redeems it. Ultimately we find an unusual and largely enjoyable affair. ParaNorman appears in an aspect ratio of approximately 2.40:1 on this Blu-ray Disc. From start to finish, the image looked great. At no point did sharpness falter. The movie always presented crisp, concise visuals, and I discerned nary a hint of softness. No issues with jagged edges or shimmering appeared, and I saw no signs of edge enhancement either. Outside of intentional “defects” at the start, print flaws weren’t a problem as the movie lacked any specks, marks or other concerns. In terms of colors, the film opted for a fairly orange and teal impression. These tones suited the story and appeared well-rendered. While not quite as strong, the DTS-HD MA 5.1 soundtrack of ParNorman also worked well. Because the movie didn’t feature a lot of slam-bang action, I didn’t expect a lively soundfield. However, the five speakers filled out the room well and added a lot to the package. The score presented solid stereo imaging in the front and also meshed to the rears with good involvement. Some isolated dialogue came from the various speakers, and effects added a nice sense of the surroundings. The elements cropped up in all the appropriate locations and formed a vivid feel throughout the flick. The smattering of more active sequences used the spectrum to positive effect and worked very well. Audio quality was satisfying. Speech seemed natural and crisp, with no edginess or issues connected to intelligibility. Music was bold and dynamic. The score presented nice oomph and showed fine clarity, and effects were similarly well-defined. Those elements sounded accurate and vivid at all times. This was a solid soundtrack that added to the film. We find a good array of extras here, and these start with an audio commentary from writer/director Chris Butler and director Sam Fell. Both sit together for this running, screen-specific look at story/characters, design and visual choices, animation and technical areas, inspirations, cast and performances, music and related topics. Expect a pretty strong overview of the production from Butler and Fell. They cover a good array of subjects and do so in a lively, informative manner that allows this to become a useful commentary. Under Preliminary Animatic Sequences, we get three segments with a total time of nine minutes, nine seconds. These let us view rough versions of the various scenes. They’re fun to see as early takes. We can watch these with or without commentary from Butler and Fell. They let us know about the scenes and the work involved. Their remarks add value. A nine-part documentary called Peering Through the Veil spans a total of 40 minutes, 49 seconds with notes from Butler, Fell, lead animator Travis Knight, production designer Nelson Lowry, assistant art director/head of set dressing Robert DeSue, character fabrication supervisor Georgina Hayns, armature designer Jeremy Spake, head of armature Jeanne R. McIvor, lead hair and fur fabricator Jill Penney, head of hair and fur fabrication Jessica Lynn, costume design supervisor Deborah Cook, fabrication design lead Kingman Gallagher, fabrication performance lead Morgan Hay, replacement animation and engineering Brian McLean, animation rigging supervisor Oliver Jones, lead animation rigger Brian Addison Elliot, animators Justin Rasch and Jason Stalman, animation supervisor Brad Schiff, 2D effects animator Susanna Luck, visual effects supervisor Brian Van’t Hul, production illustrator Ean McNamara, 2D facial animator David Vandervoort, replacement animation and engineering Brian McLean, and actors Kodi Smit-McPhee, Anna Kendrick, Tucker Albrizzi, Casey Affleck, Christopher Mintz-Plasse, and Leslie Mann. “Veil” looks at location inspirations and the film’s constructed sets, character/location design, cast and performances, puppets and animation. “Veil” goes a little fluffy at times, but the discussion of the stop-motion techniques and execution works very well and makes this a strong show. Under Featurettes, we get seven short clips with a total time of 14 minutes, 53 seconds. Across these, we hear from Butler, Fell, Knight, Penney, Hayns, Mann, Stalman, DeSue, Kendrick, Cook, assistant to the producer Laura Merton, actors Jeff Garlin, Alex Borstein and Tempestt Bledsoe, puppet wrangler Alicia Cortes, director of photography Tristan Oliver, and mold maker Mattzilla Duron. In these, we learn a little about the filmmakers’ childhoods as well as inspirations and visual montages. After the depth of “Veil”, the featurettes feel light, but they come with some fun moments. The disc opens with ads for The Lorax, ET the Extra--Terrestrial and Bring It On: The Musical. No trailer for ParaNorman appears here. A second disc provides a DVD copy of ParaNorman. It includes the same extras as the Blu-ray. Darker than most animated films, ParaNorman feels fairly average for its first two-thirds. However, it springs to life in its final act, a factor that ultimately leaves it as a pretty good movie. The Blu-ray boasts excellent visuals, very good audio and a fairly useful set of supplements. ParaNorman ends up as a mostly engaging tale.